Please join us in our office on Wednesday, November 14th at 5:30pm for refreshments, a presentation by Drs. Maloney and Agarwal, followed by a live Arctic laser peel demonstration. Reserve a place by calling 239-594-9100 or visit our site, The Aesthetic Surgery Center. Dr. Agarwal, current President of the Florida Society of Facial Plastic and Reconstructive Surgery (FSFPRS), has organized the annual meeting of the FSFPRS, to be held October 19-21, 2012 at the Ritz Carlton in Naples, Florida. The program features world renowned facial plastic surgeons, Dr. Norman Pastorek (NY, NY) and Dr. Eugene Tardy (Chicago, IL). 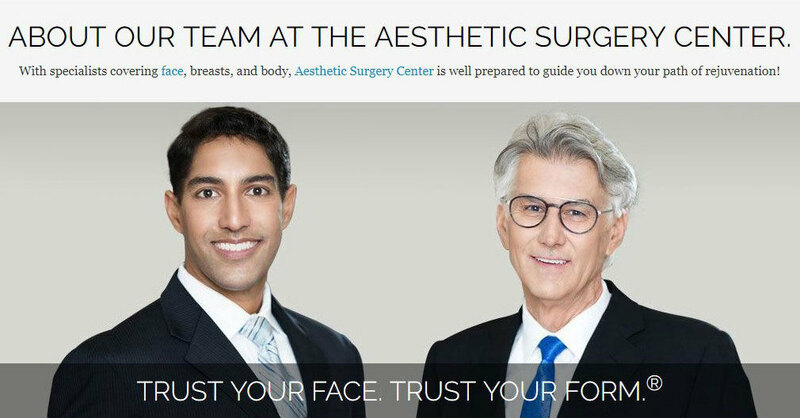 The meeting is an educational forum to review the latest advances and techniques in facial plastic surgery, and is attended by facial plastic surgeons throughout Florida who strive to provide the best care to their patients. Please join us for our first beachside seminar of the season at The Ritz-Carlton Beach Resort on Friday, October 12, 2012 at 2 pm. Please bring a friend to learn about contemporary approaches to restoring the and enhancing the face. Reserve a place by calling 239-594-9100 or visit our site, The Aesthetic Surgery Center.